Straw and other Biomass-Fired Boilers and Heaters. renewable energy source in the world. One of the most popular types of biomass is straw. In 2016 alone, the United States produced approximately 134.78 million tons of straw, which is used most frequently as feed and breeding bedding. However, the remaining parts can be used to produce heat. Straw boilers are a solution for every household, allowing for an emphasis to be put on the health of residents and the environmental benefits provided by our product. All of our straw boilers are eco-friendly; they do not emit exhaust gas that would pollute the air or release a high content of carbon monoxide (CO). The EKOPAL RM is a low-temperatures boiler designed to work in an open system with a storage tank. The boilers have the biomass combustion (gasification) chamber, afterburner and a tube type heat exchanger. 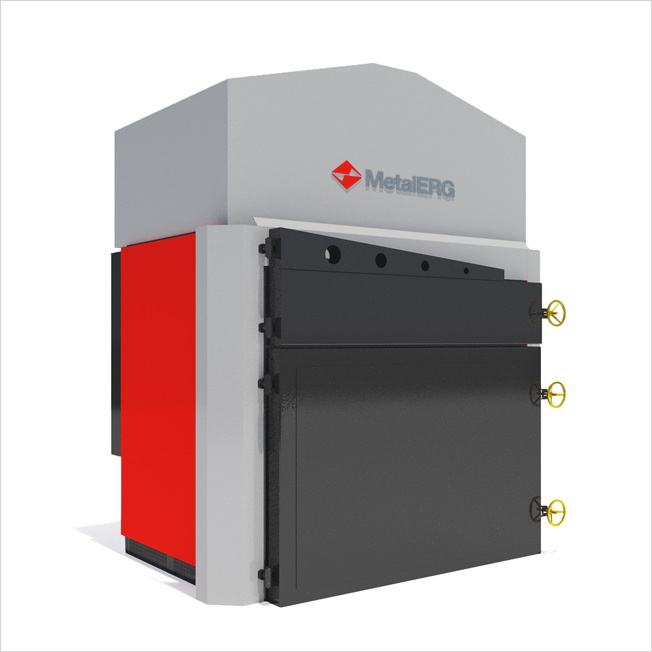 Based on the straw-fired boilers type EKOPAL RM, the company METALERG has developed the designs for a range of air heaters that allow you to heat air to 248 ° F.
Bio-Eco Matic is the first fully automatic straw-fired batch boiler. The boiler uses a system to allow for the automatic loading of the whole bales of straw along with a feeding chamber that also acts as a filter and a dryer.